As a notary, you are solely responsible for all the documents that your have notarized. 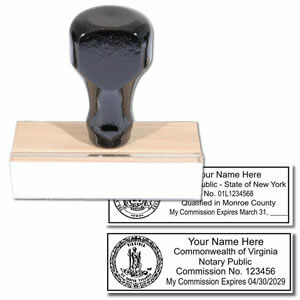 You must stamp or emboss your personalized notary image to the document which is why it is essential to have the best tools. A prepared notary's toolbox should include their stamp, seal, record book, ink and any supplemental accessories they may need. 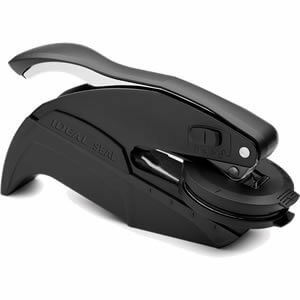 Notary supplies can be purchased from any qualified online vendor at an affordable cost. However, before placing any orders it is necessary to check your state’s requirements so that you understand what the standards are. Even if you have been a notary for years, it is always important to review the state specifications to see if anything has been updated. 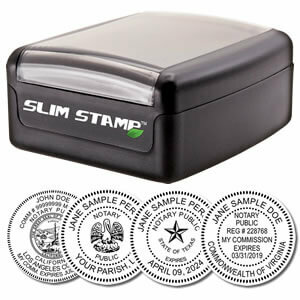 Some states allow users to keep their stamps until their term expires and then they can update the image through the vendor. The majority of manufacturers keep up with these standards because it helps their customers to place their orders quicker and keeps the formats standardized. The state of Washington allows the notary to decide whether they want to use the rubber inked stamp or the embossing seal as long as the image can be legible when the documentation is photocopied. The circular seal has to be 1-5/8” and the rectangular format 1” by 1-5/8” with a font that is no smaller than 8 point. The wording on the image has to include the notary’s name, “Notary Public”, “State of Washington” and the expiration date at a minimum. The state seal is not permitted to be used in any way at all so if you order through a vendor that includes this then you need to find a new company. It is also one of the states that will not sell these products until the notary’s certificate is on file with them to prove that they are authorized. The notary holds a position of responsibility and authority within its limited scope and having the right tools is just one of the steps that you can take to make sure you have a professional image every time. When you partner with a top quality manufacturer you can be assured that every transaction will be properly recorded and carried out no matter where you are. It is extremely important that your trusted vendor have a range of options and items to choose from. Depending on what state you are commissioned in, you may need a specific type of product. Before committing to a vendor, don’t forget to check out their inventory to make sure it is diverse enough so that you can get all your notary supplies in a single purchase which saves you time and money allowing you to focus more on your position and less on the accessories.